This article traces the EC vocational training policy historically and describes the discursive alignments which brought the policy from a ‘common vocational training policy’ as laid down in Article 128, in the Treaty of Rome to the Lisbon Lifelong Learning strategy. 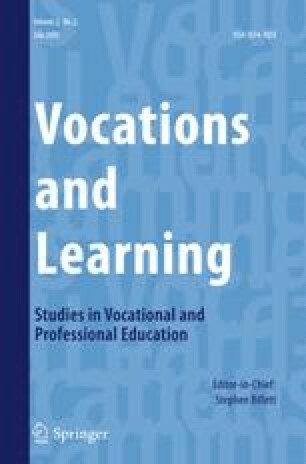 The argument is that vocational training has served as a lever for the gradual expansion of the policy field into both general and higher education and for the establishment of a European discourse on Lifelong Learning. In the article, Ball’s concept of “policy as discourse” is used to identify the changing spaces of possibility within EC vocational training policy (Ball, What is policy? Texts, trajectories and toolboxes. Discourse, 13(2), 1993). Ball, S. J. (1993). What is policy? Texts, trajectories and toolboxes. Discourse, 13(2). doi: 10.1080/0159630930130203.